The Doctor relaxed with a cup of hot tea while Rose sat across from him at one of the tables. The jet was not only fast but also quiet with minimal vibrations. The Doctor had to admit it was a brilliant idea and at least they didn't have to wait hours before reached London. Catherine made sure they were comfortable before going to the cockpit to get an update. Rose sipped her tea and stared out of a porthole shaped window beside her at the clouds below them. The Doctor studied her face. He was only half teasing when he said he could tell what she was thinking by her expression. It wasn't just that she was very open and expressive but two years of being together in his ship had tuned him in to her body language and biorhythms. He could tell she was troubled about something and he knew it was more than worry about her mother. He sensed it had to do with him and their relationship. She was trying to keep it from him but he knew, just like she knew when he was troubled about something. He finally decided that perhaps this was something that should be addressed, rather than let it hang between them the entire time he was stranded. He reached out, took her chin in his fingers and guided her face so she was looking at him. "I need my penny back," he said to her. "You asked me for a penny for my thoughts. I need my penny back, what are you thinking?" Rose lowered her eyes to the table and the Doctor knew he had been correct in surmising it had to do with their relationship. "That Martha, she said you found me when we were on the Crucible. You were searching for me then?" she said, finally looking at him. "I held out hope that I would find you but to be honest, that hope was very slim. If the boundaries between universes hadn't thinned, this reunion never would have happened." "Then why did she say that?" Rose said. "Because…because when she traveled with me, I kept mentioning you and I think…she was jealous because she fancied me. She and I never were more than friends though but she wanted something more and when I tried to ignore it and pretend she wasn't trying to be my lover, she became bitter. She never met you till the Crucible but I overheard her saying nasty things about you. I ignored it for the sake of keeping the peace but it did make me angry that she never even met you and here she was, setting you up to be the villain in her bid to be my lover. She finally wised up and left to find someone else and she did and I think she's over that now but it still hurt to have my friend saying spiteful things about you." Rose took a sip of tea as she tried to keep her emotions in check. Hearing that the Doctor missed her and didn't want anyone else as his lover thrilled her to the core. She'd often wondered if he'd be with someone else when she found him again. It had terrified her that he might have moved on and forgotten about her when she spent many nights crying herself to sleep and aching for his touch. He was the most wonderful man she'd ever known. She never wanted to be separated from him ever again. "Then afterwards, I found Donna again after meeting her just after you left," the Doctor continued. "But we're just best mates. She's never fancied me. But she's made an impact on me just the same. I suppose I needed a good friend after all that's happened." "I'm glad because I never wanted you to end up alone," Rose said, caressing the back of his hand with her fingers. "You think you're a lone wolf but you're really not. You need people just as much as people need you." "You were so brave when we were trapped in the Crucible," the Doctor murmured as he watched her fingertips stroking his hand. "I was frightened Davros might do something to you and here you were, standing up to him without the slightest trace of fear." "That's because you were there with me," Rose said. "If there had been a wall between us, it might have been different but seeing you gave me courage. Besides, I'm not afraid of a raisin in a wheelchair." She grinned when the Doctor sniggered at that. "Yeah, I s'pose old Prune Face is a bit ridiculous looking," he said. "You did that, you know. That was your influence," Rose said. "You took a scared shopgirl…"
"And turned her into a soldier?" the Doctor said. "Well, no. I mean, I don't think of myself as a soldier. But you changed me for the better." "But you are like a soldier, Rose, whether you want to believe it or not. When I saw Martha again after she left me, she was ordering troops about like a general and Donna asked me if I'd turned her into a soldier. I suppose that was my influence as well? I turn people into weapons?" "No!" Rose said, holding up her hand. "Doctor, what they said in the Crucible. It's not true, alright?" "But when I first saw you again, you were holding an enormous gun in your hands and you were just as bloodthirsty as the rest of them when Jack and Martha were threatening to destroy things. Isn't that my influence too?" "Doctor, I'm sorry about that," Rose said, lowering her eyes. "When I said that, I wasn't hoping Jack and Martha would blow something up. I was just…thinking that they had Davros and the Daleks cornered. I was admiring that, not the fact that they wanted to kill people. I used that gun for defense only and I never killed anyone. You taught me not to kill, Doctor, so yes, that's your influence as well." But I s'pose it all goes back to this…cult thing and me wanting to lead others," the Doctor said bitterly. "What I've done to the people who've traveled with me and how much I affected them is just a small sample of the power I have over others. If I'd told Jack or Martha to blow up the Earth or the Crucible, they would have gladly done it. I told you once I was dangerous to be around and now you see why." He watched as Rose stood up, walked around the table and pulled up a chair beside him. She sat down, put her arms around him and laid her head on his shoulder. "Because of you and what you taught me, I've been able to help save the universe and keep the Earth safe," she murmured. "You made me better just by example. I have a better life now because you became a part of it, Doctor, and I wouldn't trade it for anything. And I'm not your weapon. If you told me to kill someone, I would question it because that's not you…at least, you wouldn't want me to kill someone and I wouldn't do it because I know how much pain it would cause you. I'm your helper not your weapon. What Davros said is a load of rubbish. He was just trying to torment you. Don't listen to him. I was in Donna's universe and I saw how horrible things would be if you weren't around. You've done so much good in the universe and the universe needs you but you can't do it alone. 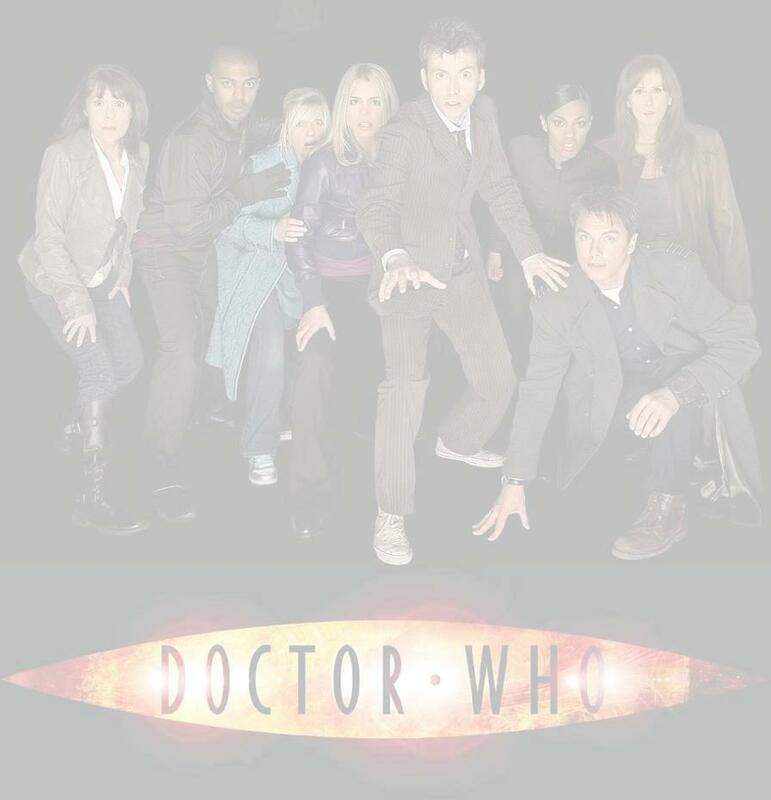 Me and Sarah Jane and Jack and Martha and Donna and everyone else, we're…extensions of yourself now. We help pick up the slack because you can't be everywhere at once. I know you want to show other people the wonders of the universe and you do but you also set us down in the middle of danger and insist we help you so you've molded us into versions of yourself that can help you defend the universe and I'm proud that you thought enough of me to let me join your little club. You're the best thing that's ever happened to me, Doctor, and I love you more than words can say." Unshed tears glistened in the Doctor's eyes and he gently kissed Rose's face. "Thank you for that," he murmured as Rose watched him silently. "You always know what to say and I told Martha that as well." "Blimey, no wonder Martha grew tired of me. You just rabbited on and on about me, didn't ya?" "Oh, I might have done…just a tad but I felt the need to boast about my Earth Defender and all she's done." Rose chuckled and leaned up to kiss his lips. She laid her face against his and the Doctor felt a sense of peace descending over him like a blanket as they stayed cuddled close together.